M.A.D. Urban is a boutique real estate investment and research firm based and operating in Ulaanbaatar. We are one of the only companies in Mongolia to have a dedicated professional research team that provides up-to-date market critical information and analysis to investors. We provide a range of turn-key services focused around the real estate sector of Mongolia. We pride ourselves on our professionalism, understanding of the market and speed of delivery. Please see below for further information about each of our key services. M.A.D. 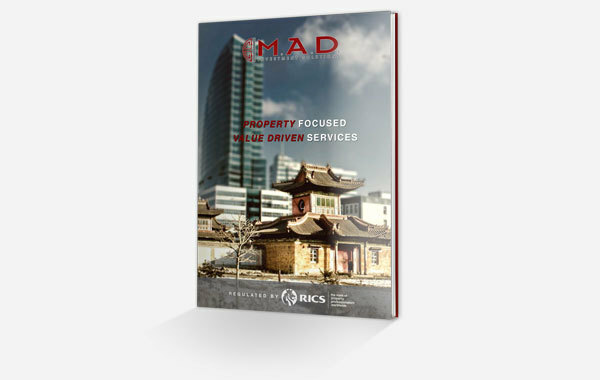 Urban is the only RICS Chartered Valuation Surveyor firm specialising in true and accurate valuations in Mongolia. M.A.D. Urban provides comprehensive and tailored Market Research and Feasibility studies for Mongolia’s Real Estate Markets. M.A.D. Urban provides detailed Financial Analysis and Development Appraisals for Property and Real Estate developers. M.A.D. Urban is Mongolia’s first and only professional Property and Real Estate Strategic Consulting Firm based in Ulaanbaatar. We are proud to count amongst our clients some of the most established international and Mongolian companies, institutions, development agencies and embassies. Our client profile is extremely diverse but all seek the same level of professionalism and service. We pride ourselves on often exceeding the expectations of our clients and are always on the lookout for new opportunities to develop lasting relationships with new clients. M.A.D. publishes a number of reports, analysis and updates for its clients and followers throughout the year. They cover the Mongolian Economy at large as well as its political environment but keep a clear focus on the Ulaanbaatar Real Estate Market. This includes our landmark annual Mongolian Property Report. The M.A.D. Investment Solutions Corporate Brochure provides an overview of all of the firm’s research, consulting and investment services. The new M.A.D. 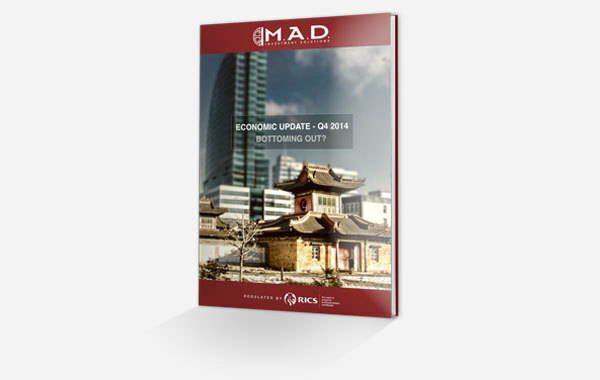 Mongolia Economic Update for Q4 2014 is our quarterly market overview document that explores economic and real estate trends in the market. The 2015 unbiased and comprehensive M.A.D. 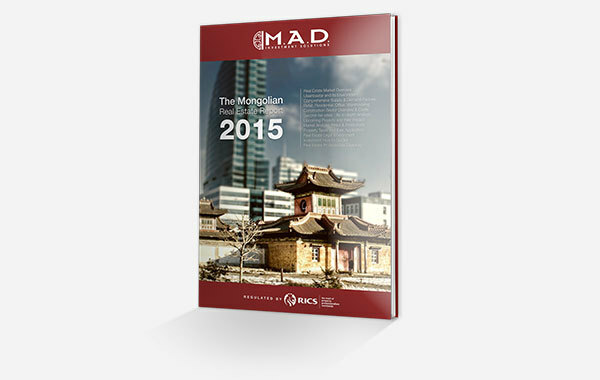 Mongolia Property Report is the landmark report published by our consulting and research team. M.A.D. has successfully created a number of documentary videos focused on different aspects of the Mongolian marketplace, strong from that experience, M.A.D. is now ready to produce professional and high quality videos for external clients. With a unique network in Mongolia, an understanding of the market and its challenges and a professional crew.